Guadalajara is a large city of 5 million plus, home to many visitors who experience the warmth of its people, but above all, a home that is in your heart. A city that can be described as a cultural mosaic that has been built in over 470 years. 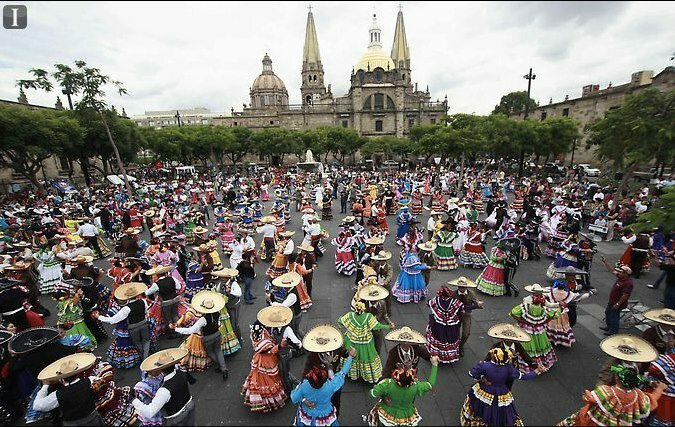 People from all walks of life, from different cultures and nationalities who took up residence in it and over decades of work, dedication and love, have enriched its vision, its essence and its wealth of traditions and customs in a distinguished personality not only in Mexico but in the world. Guadalajara has a great sense of business, projects that have transcended time but also cultural, architectural and artistic limitations. 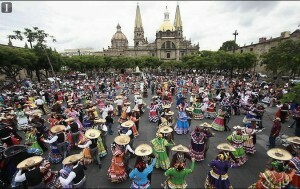 Guadalajara is the birthplace of great illustrious men, national icons that gave its Mexican identity. Guadalajara: its name comes from the Arabic Wadi al-Hiyara وادي الحجارة, meaning “Stone Valley” although traditionally the translation of the name is “River of Stones or valley of forces”. The city is one of the cultural, industrial and economic in the country. It is known worldwide for its traditions, its cultural and recreational attractions, natural beauty and for its cuisine, its strong cultural identity has given the country iconographic image. While contemporary Guadalajara is both an economic hub and industrial, commercial and service infrastructure in Mexico, also has a legacy of four and half centuries of culture, visible in its architecture, folklore and traditions. It is also the headquarters of the Archdiocese of Guadalajara. The city has hosted international events such as the first Iberoamerican Summit in 1991, the Latin America, the Caribbean and the European Union in 2004, the International Meeting of Cultural Promoters and Managers in 2005 Leaders Summit North America in 2009, as will be the Pan American Games in 2011. Likewise was named American Capital of Culture in 2005 and Educating City in 2006 and again in 2010. Each year it hosts the International Book Fair of Guadalajara, the largest Spanish-speaking world. The city is also known as the “cluster” most important technology in Latin America and one of the most respected worldwide, the city is known as the Mexican Silicon Valley because of its strong electronics industry, as well as being the Mexican capital of computing and software development. Guadalajara city was also the largest Mexican city to be considered as a city of the future in studies of the 2008 FDI Magazine, due to its aptly youthful population, low unemployment, a large number of recent foreign investment projects and also had the potential any stronger economic greatest American city in 2009 second only to Chicago, also noted the economic potential of any major Mexican city to do business in 2010. Its economic potential, founded as a development site and tourist attraction for the whole country. Historic buildings that speak of a wonderful stories central to the history of Mexico, model department stores, shopping malls that have been an example to the world. Guadalajara, a place where Akron and Jalisco stadium become one voice singing Guadalajara. A hymn that is the song of its people and the marichis around the world. From the city of the great mansions, theaters, colonial building, modern skyscrapers where modernity has graced his face. This city has been adapted into a conservative personality but always with unwavering vision. Guadalajara is its people. As passionate as enjoying a ¨torta ahogada¨ a tipical drowned sándwich, or the rivalry between Chivas fans and Atlas, full of flavor, color and life. Here we become Tapatio, live here, dream here, children have grown up here. The Pearl of the West, the city of fountains, the city of roses, a trading power but above all, a city of good people.